Begin your wellness journey with 30 minutes of Healing Touch energy balancing, then receive a healing massage and choose from cupping or hot stones massage. Then receive 45 minute detoxifying facial and choose from cupping or hot stones. Fall Into Warmth begins... with a hot oil scalp massage, warming aromatherapy massage oil is used to warm those achy muscles. Finish your massage with a hot stones massage on the back. Next is your seasonal body scrub with a full body steam towel treatment. End your indulgence with a hot shower and a cup of tea. Two therapists work on you at the same time to double your indulgence in this package. Includes a 90 minute lavender aromatherapy massage, lavender & honey facial, and lavender & honey foot scrub with moisture surge, all at the same time. This is the ultimate indulgence package. It begins with a 1-hour relaxation massage, followed by our signature body scrub and goddess body wrap. Finishes with a 1-hour customized facial. Release your inner goddess with our signature package perfectly designed to give you the ultimate relaxing experience. Your experience begins with 1-hour Signature Bohemian massage with aromatherapy. This massage focuses on melting your tension away. Our Goddess Body Wrap follows with a warm sugar scrub and mask to hydrate and moisturize skin. Enjoy a relaxing scalp massage during your wrap. Then it's off to our private spa shower. change with the seasons of the month. Ends with a 1-hour customized facial. The perfect balance for your busy lifestyle. Your luxury begins with a 60 minute Signature Bohemian Massage followed by 30 minutes devoted to your "soles". You will receive a soothing hot stone foot massage continued by a exfoliating foot polish. We will then nourish your feet in a warm foot mask and finish with a deep moisturizing foot salve. This spa package is great for a romantic getaway for couples, or just a fun relaxing time with friends or family. It includes a 1 hour couples massage with your choice of aromatherapy, a 30 minute hot stones facial (does not include extractions), & a back scrub with moisture masque. Reconnect your mind and body with this incredibly healing package. Includes a 90 minute Thai Yoga Massage and 30 minutes of Reiki Energy work. 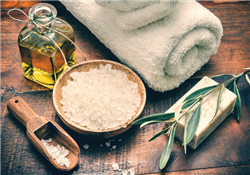 Your relaxation begins with an exotic hot oil scalp massage, then balance with a 1 hour Signature Bohemian massage with grounding earth scents of frankincense, myrrh, and vanilla, ending with a soothing hot stones massage on the back. This treatment finishes with a Goddess masque on the back. Begins with a detoxifying dry brushing treatment, followed by a lipossage treatment that uses our specialty cream. This treatment will reduce cellulite by increasing blood flow, breaking up fatty deposits, and clearing the lymphatic system. Last is our Inch Loss Body Wrap. The body wrap helps you to lose inches and reduces the look of cellulite. A series of treatments is recommended for the greatest benefit. We specialize in accommodating groups for brides, birthdays or other special occasions. We strive to maintain a tranquil, healing environment for our therapeutic treatments. For all groups we will provide chilled spa water, fresh fruit, dried fruit and nuts, along with a variety of hot teas of your choice. We ask that your party consist of a minimum of 4 people and a maximum of 10 people in order to maintain a smooth schedule. There is one time set up fee of $65.00. Each individual treatment must amount to $130 or more, and must be scheduled two weeks before the time of the appointment. There will be an automatic and non-negotiable charge of 20% gratuity for each service. We require 7 days notice for any late cancellations, if a late cancellation occurs after the 7 day late cancellation period, the credit card that was used to hold the appointments will be charged $30.00 per every 1 hour service. Please ensure the spa party is here at least 15 minutes prior to the appointment time. Please contact us for more information and scheduling at 316-262-7888.